To say that my girl, Alex, is picky would be an understatement, therefore because of that I have to come up with different “recipes” that are to her approval and standard. For this meal, I started by defrosting one or two meatballs. I don’t like to defrost it in a microwave because it makes the meatball too dry and chewy so I take it out from the freezer before I sit down to eat and by the time I am finished it is ready to be cooked. I, then, cut this meatball into little pieces along with some veggies. 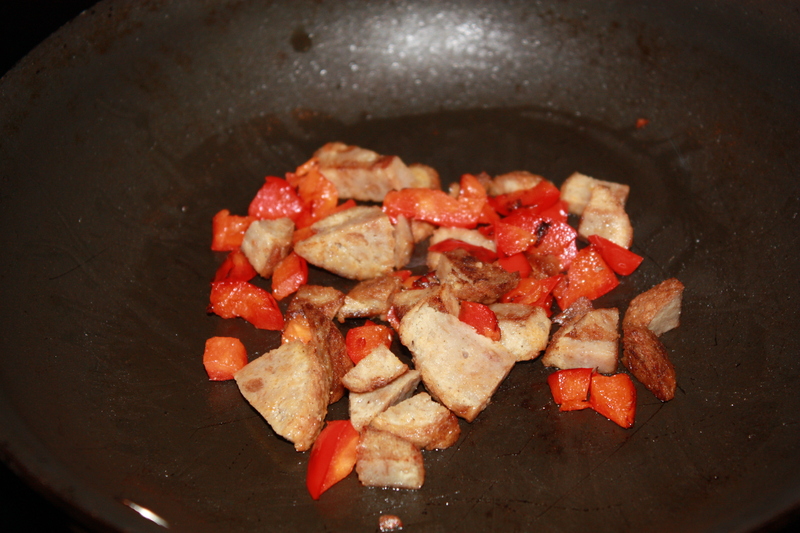 This time I chose to only add a bit of red pepper and nothing else. 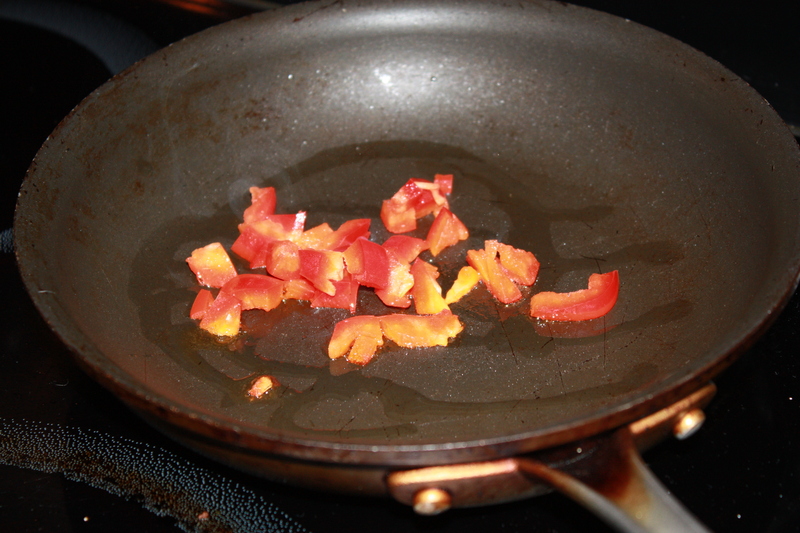 I sautéed a small amount of red pepper for about 2 minutes in a bit of oil. Don’t use a lot of oil for this can upset your dog’s tummy. I added the cut up meatball to the red pepper and sautéed them for another minute or two. I let it cool off while I get Alex’s kibble in a dish. And Voila! Here is the end result. 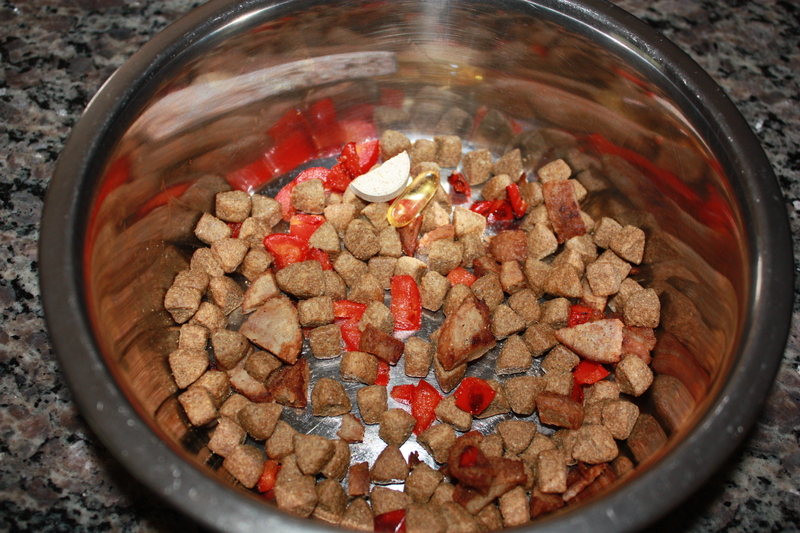 I mixed Alex’s kibble with the sautéed meatball and red pepper, along with her supplements, and my picky girl devoured her meal. When I try something new with Alex I start with a very small amount of it in order to avoid upsetting her stomach. Currently, I am adding 2 meatballs and 3 different veggies. I am always interested in other pet parents’ recipes. If you have any that you’d like to share, please let me know because my “menu” is quite limited. This entry was posted in Breeds, Dog Equipment, Dogs, Humor, Nutrition, Outings, Walking and tagged Cook, Fruits and Vegetables, kibble, Meatball, sauteed, stomach, supplements. Bookmark the permalink. You just put a huge smile on my face. Thanks. Alex, my girl, gives me the best compliments by devouring, most of the time, the meals I cook for her. I am so glad your doggies would enjoy it too:) If you have any recipes or suggestions, send them my way. Have a great weekend. When I arrived here, I saw the tittle of the post, and being a chef, I thought ‘oh, yummy!’ You can imagine my disappointment. You certainly look after Alex. My cat (kitten) Cloro gets a little mince dumped unceremoniously on his dish when he pees or poops in the right place; he’s got the idea now. I’ll have to read more of your blog after the supermarket. 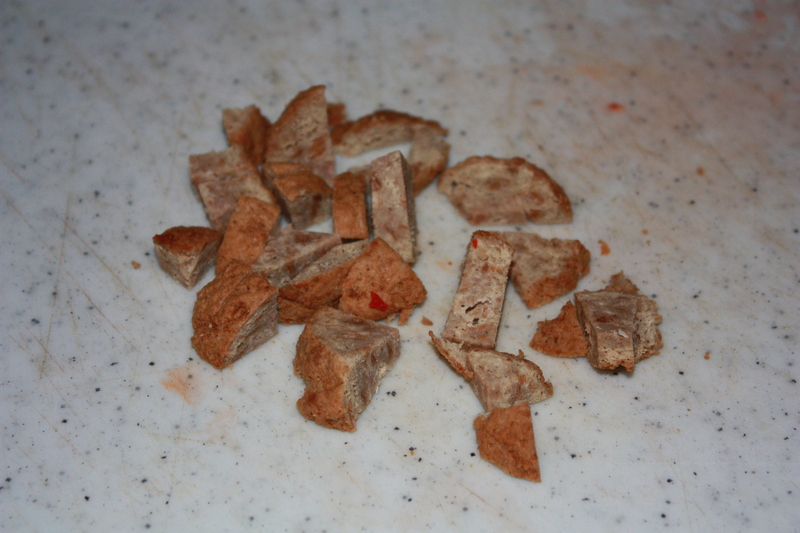 I can’t say much for real food, but my dog loves these peanut butter homemade dog treats. I’ve talked about three of my posts now and two other bloggers have made them. 🙂 If you go to my blog and check out my reblog of “Maggie0019″‘s blog earlier this week, she actually wrote out the recipe in the blog. Your dog should love them! Thanks:) I’ll check it out. Alex loves peanut butter.